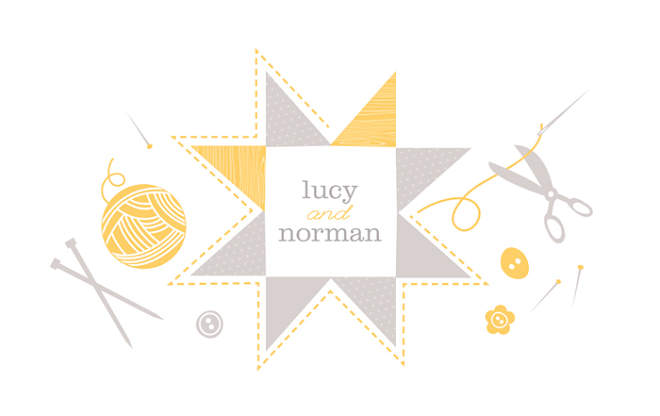 Lucy & Norman: Wow! I finished a quilt! Wow! I finished a quilt! I've finally finished baby Olivia's play mat quilt! I got the piecing done rather quickly, and soon afterwards almost completely lost my sewing mojo. But it's all finished now, and I think it will look even better with a sweet little baby girl resting in the middle, don't you? The pattern is called the Sixth Times a Charm from Anna Maria Horner's book Handmade Beginnings. I loved pulling all sorts of girly prints from my stash in hues of pink and yellow to slice into strips. But I must say, I was in complete shock of the amount of waste leftover and after cutting my first set of triangle components, I looked for another way to pull it off. Rachel has a great post here about her method of reducing scrappage. Even after making alterations, I couldn't even bare the thought of trimming this hexagon into a traditional rectangle quilt and leaving so many precious prints behind with no purpose. So in the end I decided to leave it in this shape, and actually I think it will get a lot of use this summer outdoors under a shady tree. The colors remind me of strawberry lemonade! Hope she makes her arrival soon! I would've left it as a hexagon too - this is gorgeous and will be such a keepsake for years to come. It's the perfect summery girly quilt! And finished just in time it seems! Aw, such a sweet girly quilt! Best wishes! Beautiful! I love it, it's so sweet! I love it as a hexagon too! So sweet and perfect for a baby girl. That looks awesome and will be even cuter with a little one in the middle. It looks fab as a hexagon, and I love the colours! You poor soul with the end-of-pregnancy pains though, I hope Olivia puts in an appearance soon. Love the quilt! And congratulations on being so close! Here's to a (relatively) easy labor and complication free delivery for both of you! I love this shape for a baby's play mat! Your colours are beautiful! That quilt is so lovely - I can't believe you are supposed to cut it off into a rectangle! It's perfect this way. I hope you have a wonderful delivery SOON. All the best. The shape and colors look wonderful. Every time I see a non rectangle quilt, it makes me smile. it is so so cute! and i'm glad you kept the shape, too cute to cut up! Love this quilt and cannot wait for the next installment. Good luck! Holy cow you are close! Good luck to you! The quilt is awesome! Can't wait to see Olivia! Oh, the shape! What fun!! Congratulations to you, and the very best of luck. What a special time of blessing!! Hello! Mark did a wine tasting at the shop I work at this past weekend and he told me I needed to check out your blog and all your craftiness! When he is not talking about wine, he is talking about you guys! It's nice to see the lovely family and all your cute projects. Thanks for sharing! oooh, that came out nice. perfect for a wee one!